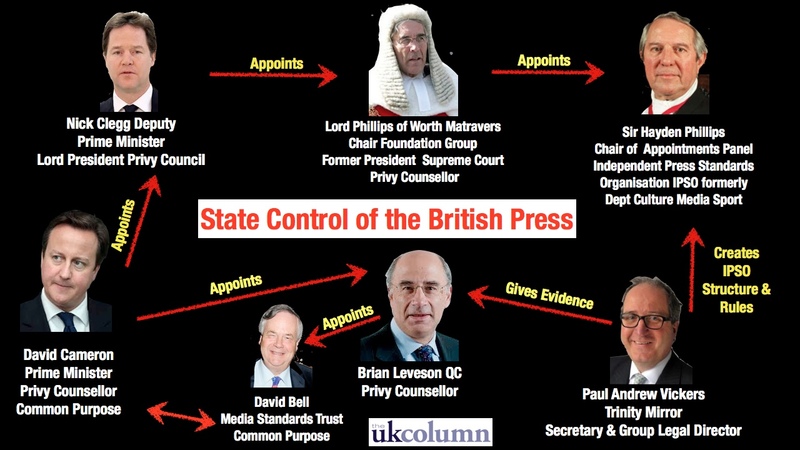 Unionist politicians of the Labour Tory and Lib/Dem party’s cast scorn on anyone raising the spectre of state control of the BBC in Scotland but finally the evidence is in the public domain. It is a tale of secret agents and surveillance that could have come straight out the BBC Scotland’s classic spy drama “Whisky Galore”. But the difference is that genuine spies are involved and they are operating behind the scenes at BBC Scotland. Confidential papers, obtained and released by the whistle-blower “Jock Tamson” reveal that BBC Scotland allowed MI5 to investigate the backgrounds and political affiliations of around 400 of its employees, including newsreaders, reporters, continuity announcers, television producers, directors, sound engineers, secretaries and researchers. The files, shed light on the BBC Scotland’s hitherto secret links with the Security Service and show that it is responsible for vetting 450 different BBC Scotland posts. They also confirm that the corporation in Scotland holds a list of “subversive organizations” and that evidence of certain kinds of political activity are a bar to appointment or promotion. BBC Scotland’s reliance on MI5 reached a peak between 2010 and 2018 just when the “Outlander” series, was denied to the Scottish viewing public, at the time of the 2014 “Independence Referendum” by arrangement with the Tory government and the Sony corporation. BBC Scotland, has always refused to be drawn on the extent of its collaboration with the secret services. It is only now, after the information was gathered and distributed by “Jock Tamson” that it has finally been willing to release details of the vetting operation. The documents do not name any of the individuals subjected to vetting, but it is accepted that many of BBC Scotland’s best known news presenters and other high profile figures are included. Many employees, including senior officials, and their support staff have been checked because of their access to confidential government information in relation to their jobs as have those involved in live broadcasts since BBC Scotland is worried about the possibility of on-air favoritism of the SNP or other bias damaging to the Westminster state. The details of freelance television and radio staff are also routinely passed on to the security services and even the posts of editor and deputy editor of Radio Scotland are subject to background checks by MI5. In many cases, the spouses of applicants are also subject to scrutiny. Positively vetted (PV) staff have the “union Jack” are tattooed inside their bottom lip for identification purposes, resulting in some news readers and presenters delivering their speil from the side of their mouth. A dead giveaway. BBC Scotland declined to-comment. It is a tale of secret agents and surveillance that could have come straight out the BBC’s classic spy drama Tinker, Tailor, Soldier, Spy. But the difference is that genuine spies were involved and they were operating behind the scenes at Broadcasting House rather than on the small screen. Confidential papers, obtained by The Sunday Telegraph, have revealed that the BBC allowed MI5 to investigate the backgrounds and political affiliations of -thousands of its employees, including newsreaders, reporters and continuity announcers. The files, which shed light on the BBC’s hitherto secret links with the Security Service, show that at one stage it was responsible for vetting 6,300 different BBC posts – almost a third of the total workforce. They also confirm that the corporation held a list of “subversive organizations” and that evidence of certain kinds of political activity could be a bar to appointment or promotion. The BBC’s reliance on MI5 reached a peak in the late 1970s and early 1980s at exactly the same time as millions of viewers were tuning into the fictional adventures of George Smiley in Tinker, Tailor, Soldier, Spy and -Smiley’s People. David Dimbleby, John Humphrys and Anna Ford all began their careers with the broadcaster when the system was still in place. 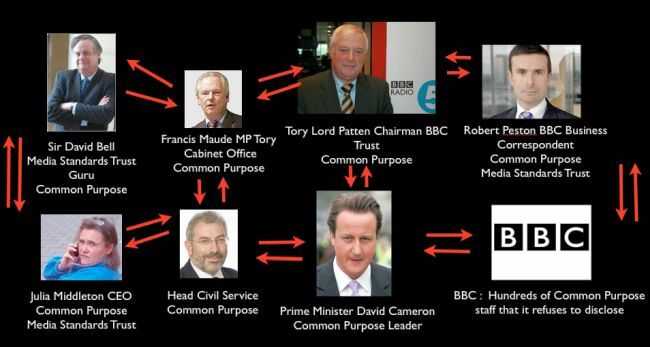 The BBC, however, has always refused to be drawn on the extent of its collaboration with the secret services. It is only now, after a request by this newspaper under the Freedom of Information Act, that it has finally been willing to release details of the vetting operation. The documents do not name any of the individuals subjected to vetting, but it is possible that some of the BBC’s biggest names were scrutinized. Different posts were vetted for different reasons. Senior officials, including the director-general, and their support staff were checked because they had access to confidential government information in relation to their jobs. But thousands of employees were vetted because they were involved in live broadcasts and the BBC was worried about the possibility of on-air bias or disruption. In 1983, 5,728 BBC jobs were subjected to this second kind of scrutiny known as “counter-subversion vetting”. The vetting system, which was phased out in the late 1980s, also applied to dozens of other employees, including television producers, directors, sound engineers, secretaries and researchers. The details of freelance television and radio staff were also routinely passed on to the security services and even the posts of editor and deputy editor of Radio 4’s Woman’s Hour were subject to background checks by MI5. In many cases, the spouses of applicants were also subjected to scrutiny. For their part, the security services were increasingly concerned about the number of people being referred to them by the BBC. During the first four months of 1983, they were asked to investigate 619 different individuals. In the early 1980s, the BBC had a list of “major subversive organizations”, which included the Communist Party, the Socialist Workers’ Party, the Workers’ Revolutionary Party, Militant Tendency, the National Front and the British National Party. In contrast, CND, which was very popular at the time, was not regarded as a “subversive organization”. Youthful attachments to extreme causes did not necessarily mean an automatic ban on employment. The papers show that, in 1968, Sir Hugh Greene, the BBC’s then director-general, and John Arkell, the head of administration, successfully evaded questions on the issue during an interview with a journalist. A memo from Mr Arkell, dated March 1 1968, to another senior colleague states: “You might like to get a bit of credit for the BBC next time you talk to MI5 by telling them that I stuck resolutely to the brief which you prepared for me in spite of very pointed and penetrating questions. “I still denied that we had any vetting procedures.” The BBC declined to -comment. Purnell the Labour Party plant with his hands firmly on the levers of power at the bbc – Cost the licence payer nearly £800k in year one of his employment. 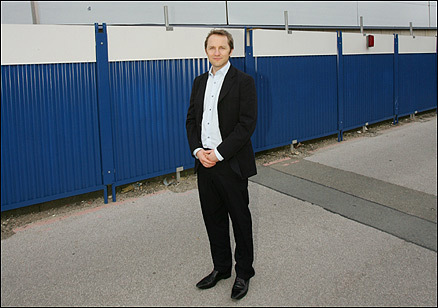 Culture Secretary, and local MP, Purnell, turned up late for an event at a Manchester hospital, and missed the official photo opportunity, only to appear in group press photographs of the ceremony. He denied any knowledge of a decision to fake the photographs showing him in a group shot with fellow MPs. But correspondence issued later revealed that the hospital had sent official messages in advance advising details of a plan, if he was too be late, to “mock up” the group pictures by “dropping” him into them. Ardent Blairite Purnell, is a graduate of Balliol College, Oxford, and first worked for Tony Blair as a student cutting his teeth as a media policy specialist at New Labour’s favourite think-tank, the Institute for Public Policy Research. He went on to become the BBC’s head of corporate planning and a Downing Street adviser. 2008: crisis loans: Purnell proposed charging 26.8% interest on interest free crisis loans to the unemployed and pensioners. “Any allegation that James avoided capital gains tax is completely untrue. When he bought his constituency home, the sale of his London flat fell through, but it was sold within the period that HMRC continue to treat it as not being liable for CGT … This would have been true for any taxpayer – there was no special treatment”. Whilst renting a flat between 2004 and 2006, Purnell claimed £100 a month for cleaning expenses and £586 for repairs. “James felt frustrated that the landlord refused to return the deposit. He initially pursued the matter through legal channels but let it rest as the costs of fighting it further would far outweigh recouping the deposit”. “Despite being entitled to claim in full for the whole rental cost incurred by him and his partner, James claimed less than the amount he himself spent. The rules of the House of Commons make it clear that an MP is entitled to be reimbursed for the rent or mortgage paid by the MP and their partner. Nevertheless, James went out of his way to ensure overall he claimed less for accommodation than he himself paid”. Purnell also claimed £247 for 3,000 fridge magnets. After leaving parliament, he became the chair of the Labour Party, Institute for Public Policy Research. 2013: The BBC ignored political advice and appointed former lifelong Labour politician, James Purnell as its new head of strategy, on a £295k salary. The director of strategy post was created by Lord Hall, the new director-general who hand-picked Mr Purnell for the new role wishing to avoid a long and costly recruitment process. A ministerial aide said of the decision: “It is beyond a joke. It all looks far too cosy. It gives the impression that there is a swing door policy between Labour and the BBC”. Adding that the appointment had “lit the touch paper” on a range of grievances against the BBC. 2013: £100m of licence payers money was written off against the badly bungled “Digital Media Initiative”. “We need a clear line on Linwood on whether he is resigning or being fired and why”. “deeply ingrained cultural expectation within the organization of sacrificial accountability”. 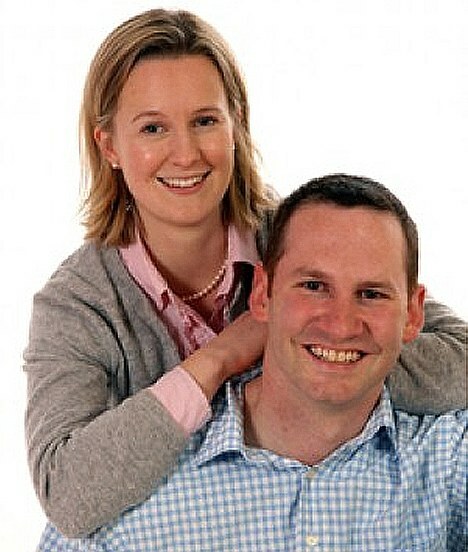 Linwood was awarded £80,000 in damages, and it was later revealed that the BBC had spent £498,000 defending the claim. Comment: In his first year of employment Purnell cost the licence payers nearly £800k. The jokes on the compulsory licence fee subscribers. Author caltonjockPosted on August 29, 2018 August 29, 2018 Categories Uncategorized1 Comment on Purnell the Labour Party plant with his hands firmly on the levers of power at the bbc – Cost the licence payer nearly £800k in year one of his employment. Canadian Wylie, claimed to be a central figure in the setting up of the Canadian digital company, AggregateIQ, (AIQ) which played a pivotal role in the official 2016, Vote Leave campaign, led by Michael Gove and Boris Johnson. “When I became research director for SCL (the parent company of Cambridge Analytica) we needed to rapidly expand our technical capacity and I reached out to a lot of people I had worked with in the past. That included Jeff Silvester, my former boss, who lived in my home town, Victoria, in British Columbia. I told him SCL was mostly involved in psychological warfare work for Nato, including many projects involving a socio-political element. I then suggested he should come and work for SCL, in London. But he had just had a family and didn’t fancy living in the UK”. Silvester, in return, offered that SCL would benefit from support through a Canadian company. AIQ was formed soon after, by Wylie, in partnership with his friend and business associate, Zack Massingham. Although technically separate between 2013-2016 AIQ operated with no clients other than (SCL), in effect the company functioned as an internal department of SCL. An intellectual property license linking AIQ and SCL was signed soon after with the intellectual property (IP), being retained by SCL. AIQ, with 20 staff, operating 2,300 miles away on the other side of the Atlantic, in a cramped office, above an opticians in the provincial Canadian city of Victoria, managed “Ripon” the SCL technology platform, developing the software, connecting then disseminating the all powerful algorithms to social, online advertising networks and SCL databases. In 2016, Mercer is reported to have offered Leave.EU, the free use of the facilities of Cambridge Analytica US. But they were not the official “Leave” group. 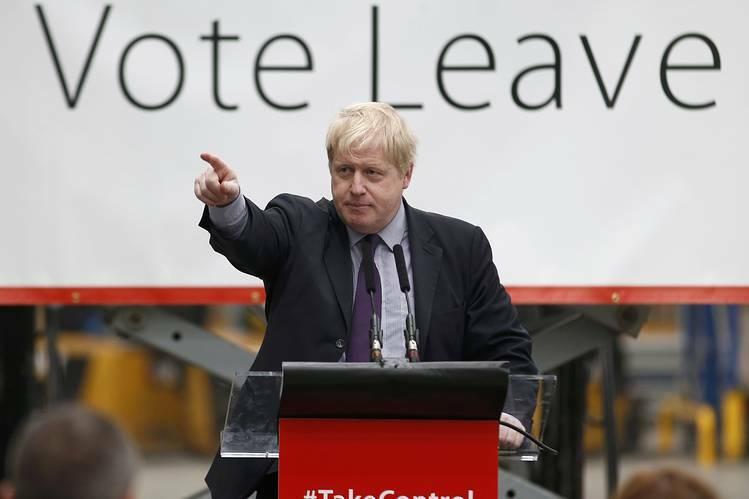 Another team, Vote Leave, led by Boris Johnson and Michael Gove had been selected to lead the referendum campaign by the Electoral Commission. The result was that Leave.EU needed and gained financial backing from Cambridge Analytical US which it used to influence UK voters through SCL in London. The official Vote Leave team contracted AIQ in Canada and spent around 40 percent of its £7m campaign budget with the company. But problems arose after Vote Leave gathered more finance than the £7m it could legally spend requiring fast thinking and speedy action in the last week of the campaign. UK election laws coveniently permitted Vote Leave to gift its remaining funds to other campaigns but any coordinating campaigning between them was expressly forbidden. The activities of Vote Leave were closely monitored and noteworthy events recorded in anticipation of “jiggery Pokery” and the monitors were not to be disappointed. Just a week before the referendum a hitherto unknown young fashion design student named Darren Grimes, the founder of a small, unofficial Brexit campaign, supported by university students, called BeLeave, (clumsily co-located in the same office as Vote Leave) received £625,000 from Vote Leave. The money was subsequently transferred to AIQ, in Canada, providing evidence of collusion between Vote leave and BeLeave. Veterans for Britain was formed to attract former military personnel who would be expected to have an affinity with the Leave EU cause. David Banks, head of communications for the group advised he had been approached by Leave EU in the last week of the campaign, with an offer to finance a media contract with AIQ. Having no reason to doubt the appropriateness of the offer the group accepted the financial gift of £100,000 which was subsequently transferred to AIQ. The brexit supporting, Democratic Unionist party was allocated £758k. “Look at Erdogan in Turkey. What Theresa May is doing is quite anti-democratic in a way. It’s about enhancing her power very deliberately. It’s not about a battle of policy between two parties”. He also compiled a report for the London School of Economics (LSE). His investigations required an examination of invoices submitted with the accounts of the various Leave EU campaigns. He identified a massive imbalance in the disbursement of campaign finance in favour of the little known company, AIQ, based in Canada. The campaigns’ spend with AIQ was, in total, more than the total spend of all other campaigns combined. He concluded that the laws underpinning the UK electoral laws were, “weak and helpless” in the face of new forms of digital campaigning, were no longer fit for purpose and needed to be urgently reviewed by Westminster. Gavin Millar: a QC and expert in electoral law, described the situation as “highly disturbing”. He believed the only way to find out what occurred would be to hold a public inquiry. But a government would need to call it. A government that only recently triggered an election specifically to shore up its power base. An election designed to set the UK into permanent alignment with Trump’s America. This is the UK in 2017. A country that looks increasingly like a “managed” democracy. Paid for a US billionaire. Using military-style technology. Delivered by Facebook. And enabled by the electorate. If the referendum is allowed to stand it implies the implicit consent of the UK electorate. It is not now about Remaining or leaving the EU. It is well outside the remit of party politics. It is about the UK’s electorate stepping blindly into a new undemocratic world governed by a select few at the top of the “New World Order”. Not long after, the media raised questions about the connection between SCL and AIQ. In response SCL removed “SCL Canada” and Zack Massingham’s phone number from its website and said that AIQ was a: “former IT contractor”. 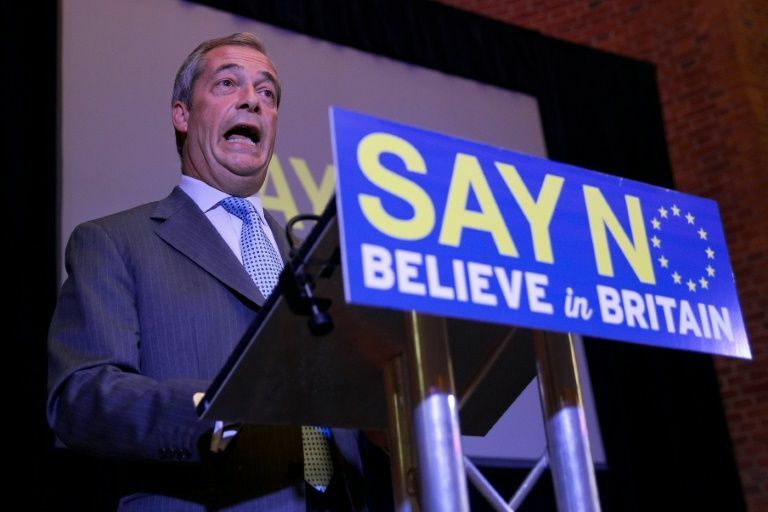 SCL’s work for Farage’s Leave.EU campaign, the Vote Leave campaign and the activities of AIQ were then subject to an investigation by the Electoral Commission. Dominic Cummings, chief strategist for Vote Leave, explaining the methodology he used for selecting and contracting media support, claimed to have “found” AIQ “on the internet”. But he must have had prior knowledge of the existence of AIQ since records show that the company had no internet presence at the time. Jeff Silvester, said: “AIQ never worked or even communicated in any way with SCL or any other parties related to SCL with respect to the Brexit campaign. Records confirmed it was AIQ, that developed the “Ripon” technology for SCL who then sold it under contract, to a number of wealthy clients for millions of pounds, and used it in support of Donald Trump in his 2016 US presidential election. This information was of interest to UK and USA investigators who were pursuing leads seeking to establish whether multiple “Leave” campaigns had been illegally coordinated by SCL during the 2016 EU referendum. Records also revealed that AIQ had successfully canvassed Breitbart News for work. Briebart, a far-right website, was funded by US hedge-fund billionaire Robert Mercer, who just happened to be the principal investor in SCL. Briebart News, armed with the SCL owned “Ripon” database, was contracted to WPA Intelligence, a US-based consultancy, founded by Republican pollster Chris Wilson, who was director of digital strategy for the subsequently aborted 2016 presidential campaigns of Texas Senator Ted Cruz and Texas Governor Greg Abbott, as well as the campaign of Ukrainian steel magnate Serhiy Taruta, for the leadership of the Ukraine’s newly formed Osnova party. Other projects under development by AIO, include a data software tool titled “The Database of Truth”. Designed to be integrated with voter files, consumer data, third party data providers, historical WPA surveys and customer data, the software is to be supplied to WPA Intelligence and to the “RNC Data Trust.” (the Republican party’s primary voter file provider). AIQ is now the subject of an investigation by British Columbia’s privacy commissioner and the federal equivalent. A shadowy global operation involving big data, a US billionaire and his associates aided by the disparate forces of the Leave campaign, influenced the result of the EU referendum raising the question. Is our electoral process fit for purpose? In April 2017 a Senior intelligence analyst referring to the conduct of the various Leave groups, made a telling statement. He said: “It’s not MI6’s job to warn of internal threats”. A very strange thing to say. He may have been referring to shortcomings within the secret services or possibly the Tory government. Shahmir Sanni, who worked for the official Vote Leave campaign, broke cover raising concerns that the group behind the 2016 vote in favour of Brexit, including key figures now working for Theresa May in Downing Street, may have broken the law by flouting referendum spending rules and then attempting to destroy evidence. He claimed that a donation of £625,000 had been made by Vote Leave to an independent referendum campaign organization called Be Leave and said that the money had been transferred directly to AIQ a company with formal links to SCL, in violation of election regulations. The donation had been sanctioned by the most senior figures in Vote Leave, including campaign director Dominic Cummings and CEO Matthew Elliott. Members of the official Brexit campaign during the EU referendum may have committed criminal offenses relating to overspending and collusion, according to lawyers advising whistle-blowers who worked inside the organization. Clare Montgomery and Helen Mountfield, barristers from Matrix chambers, concluded in a formal opinion that there was a “prima facie case” that Vote Leave submitted an inaccurate spending return and colluded with Be Leave, which was aimed at students. They were reviewing a dossier of evidence supplied by solicitors Bindmans, which contained examples of alleged collusion showing that Vote Leave and Be Leave were not separate and therefore that the leave campaign spent over the £7m legal limit set by the Electoral Commission. The dossier was passed to the Electoral Commission, which is responsible for election law. Tamsin Allen, from Bindmans, told a press conference “that there is a strong suspicion that the campaigns were very closely linked and coordinated, in which case Vote Leave had spent huge sums unlawfully and its declaration of expenses was incorrect”. Vote Leave formally declared it had spent £6.77m during the campaign in the summer of 2016, well below the £7m limit. That figure, however, excluded £625,000 donated by Vote Leave to Be Leave which was spent on the same digital marketing company, AIQ, that Vote Leave used. Vote Leave, whose leading members include Boris Johnson and Michael Gove, strongly denies any coordination with another campaign group during the referendum. But Allen said there were grounds to suspect Dominic Cummings, Vote Leave’s campaign director, “of having conspired to break the law” because he was among those engaged in discussions with Be Leave about their organization, activity and funding. 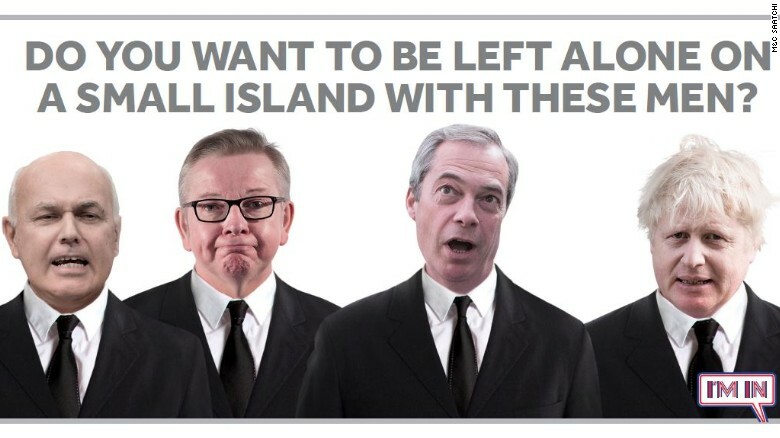 Emails compiled by Bindmans indicated that Vote Leave assisted in the creation of Be Leave’s branding and that there was constant communication between to the two groups, who were based in the same office. They suggested that they used a single shared drive where campaign materials were shared. Bindmans’ dossier was largely based on evidence supplied by Shahmir Sanni, a volunteer who worked at both Vote Leave and Be Leave, with supporting evidence from Christopher Wylie, a former employee of the political consultancy firm SCL who worked on the Trump election campaign and who had worked for AIQ. A Facebook chat records Sanni discussing with the Be Leave founder, Darren Grimes, how they might set up independently in May 2016. Sanni wrote: “We could just say that you and I will be handling the money and using our social media data to decide where best to spend our money”. Wylie said that an employee of AIQ had told him the relationship between Vote Leave and Be Leave was “totally illegal” because “you are not allowed to coordinate between different campaigns and not declare it”. The lawyers said there were also “grounds to investigate” Stephen Parkinson, Vote Leave’s national organizer, who now works as Theresa May’s special adviser and Cleo Watson, who was Vote Leave’s head of outreach and also now works at No 10. Parkinson and Watson have denied any wrong doing. Montgomery and Mountfield said in their opinion that there were “significant questions” about the role of a senior Vote Leave official who appeared to have removed references to themselves and others in discussions with Be Leave after the referendum by appearing “to change permissions on a Be Leave shared drive in March 2017. Done at the time an Electoral Commission investigation into Vote Leave was under way” revoking permission for the official, Cummings and a third person from having access to Be Leave materials. 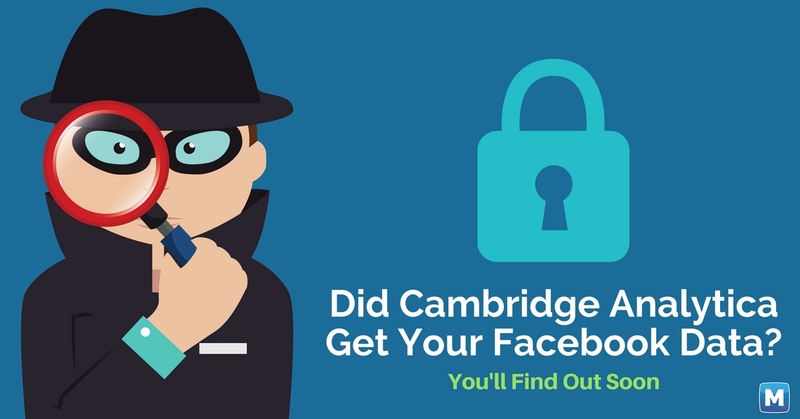 Separately, it emerged that AIQ has worked in the United States developing software for Cambridge Analytica US, which had been accused of benefiting from the harvesting of 50m Facebook profiles to use in political targeting. Cummings wrote in a blog-post, before the press conference that “a team would be submitting formal complaints to the EC and ICO Information Commissioner’s Office about the illegal conduct of the remain campaign”. He previously argued that Stronger In also took advantage of loopholes to reduce the expenditure against its £7m limit. The Electoral Commission previously assessed on two occasions and found in favour of Vote Leave both times. But a judicial review launched by the Good Law Project in November 2017 led to the commission opening a third investigation into the donation. British company with 25 years experience in military “psychological operations” and “election management”. A data analytics company formed in 2014. Robert Mercer owned 90%. SCL owned 10%. Carried out major digital targeting campaigns for Donald Trump campaign, Ted Cruz’s nomination campaign and multiple other US Republican campaigns – mostly funded by Mercer. Gave Nigel Farage’s Leave.EU “help” during referendum. US billionaire hedge fund owner who was Trump’s biggest donor. Owns Cambridge Analytica and the IP [intellectual property] of AIQ. A friend of Farage and close associate of Steve Bannon. Trump’s chief strategist. Vice-president of Cambridge Analytica during referendum period. A friend of Farage. Former Director of Cambridge Analytica and SCL Group. Canadian who first brought data expertise and micro-targeting to Cambridge Analytica also recruited AIQ. A Data analytics company based in Victoria, British Columbia, Canada. Worked for Mercer-funded political campaigns supporting the Trump presidential campaign. Mercer owns AggregateIQ’s Intellectual Property (IP). Paid £3.9m by Vote Leave to “micro-target” voters on social media during referendum campaign. Outside British jurisdiction. Given £100,000 by Vote Leave. Spent it with AIQ. Youth Leave campaign set up by 23-year-old student. Given £625k by Vote Leave & £50k by another donor. Spent it with AIQ. Democratic Unionist Party of Northern Ireland. Spent £332k with AIQ. Vote Leave’s chief technology officer. Previously worked with SCL, Cambridge Analytica and AggregateIQ. Data science specialists. Links with Cambridge Analytica, including staff moving between the two and holding joint events. Paid £114k by Vote Leave. Vote Leave declared £71k to the Electoral Commission. US president. Campaign funded by Mercer and run by Bannon. Data services supplied by Cambridge Analytica and AIQ. Former Ukip leader. Leader of Leave.EU. Friend of Trump, Mercer and Bannon. Bristol businessman. Co-founder of Leave.EU. Owns data company and insurance firm. Single biggest donor to Leave – £7.5m. I follow articles written for the Guardian and the Observer, by the Wee Welsh Terrier, Carole Cadwalladr, a fearless journalist who doggedly searches for the truth in any investigation in which she participates. In the last 2 years, reports and articles written by herself and her associates have exposed the systematic abuse of the UK electorate by obscenely rich business moguls, politicians, ex military and secret services officers linked to Cambridge Analytica and subsidiary companies. Their work and the editorial policies of the Guardian and Observer led to the closure of the companies. But the investigations continue since there are many questions about the activities of the companies that have yet to be asked or are unanswered. There is so much information, in the public domain about what went on, (much of it produced by Carole) which makes the presentation of facts and suppositions difficult to understand and I have summarized the saga using the information provided by Carole. Psychologists from Cambridge University created a team to work on a project designed to gather data for research into the possibility of identifying personality traits from “facebook” personal data. e.g. political partisanship, sexuality, likes, dislikes and much more. They contracted Dr Aleksandr Kogan, a scientist at the university, to harvest the Facebook data. He did so by paying individuals to take a personality quiz which also allowed not just their own Facebook profiles to be harvested, but also those of their friends – a process then allowed by the social network. His pioneering work on personality was then peer reviewed and published. Note: This is the same chappie: A Russian-born scientist who was working in Russia with grants from the Russian government while harvesting Facebook data for Cambridge Analytica. Now there’s trick!!!! 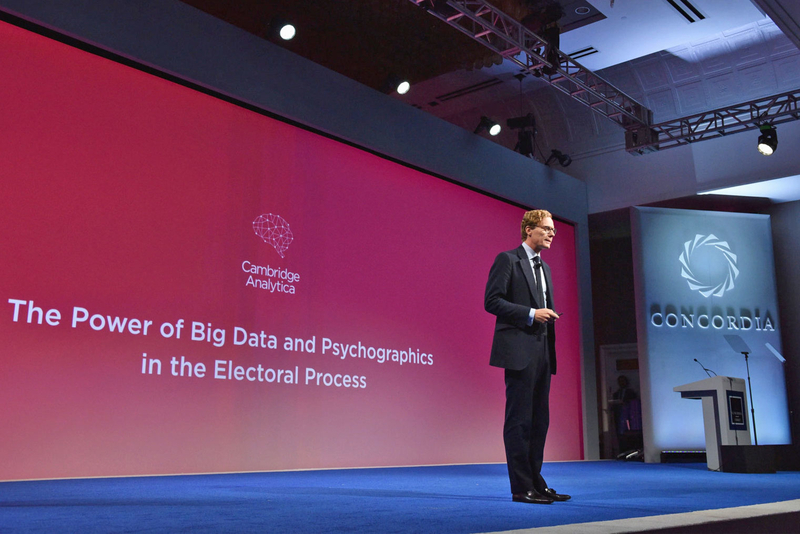 Interested parties, excited by the potential political benefits of harvesting data formed a new company, Cambridge Analytica to further develop the software enabling the gathering of personal data on a large scale. 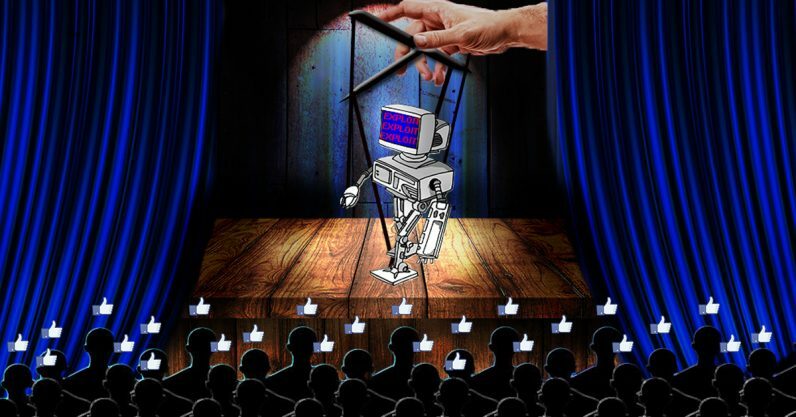 The company purchased consumer data-sets (legally) on everything from magazine subscriptions to airline travel, then attached the information to each individual’s Facebook pages and transferred the data to the voter register. The goal of capturing of many aspects of every voter’s personal information onto a national database to provide a rudimentary weapon with potential for further development enabling the process of targeting voters at elections had been achieved. Armed with a treasure trove of personal data enabled it to target people high in neuroticism, for example, with images of immigrants “swamping” the country. The key was finding the emotional triggers for each individual voter. Progress was slow until the appearance of the American media executive, political figure, strategist, former investment banker, and former executive chairman of Breitbart News, Steve Bannon whose dynamic presence provided the impetus the company needed. He negotiated controlled trials of the new software with 44 congressional, US Senate and state-level elections in the 2014 midterm elections. Its key objectives were, “voter disengagement” and “persuasion of Democrat voters to stay at home”. A tall order for unproven software to locate tiny slivers of influence able to tip an election in favour of a selected client. It produced patchy yet very promising results. Banner was smitten and decided he would form a Cambridge Analytica, sister company in the US which would be semi-autonomous. This brought with it the need for an umbrella organization. Strategic Communication Laboratories (SCL) was available and the deal was done. Abandon thoughts of social psychology and data analytics. The entrance of the military establishment through SCL, combined psychological warfare techniques with mass data-harvesting being introduced into the British public domain, the black arts of, psychology, propaganda and technology would be used together in a new powerful way. Tamsin Shaw, an associate professor of philosophy at New York University, researched the US military’s funding and use of psychological research for use in torture. A group, titled “Behavioral Dynamics” was first formed by old Etonian, Oakes brothers (Nigel and Alexander) in 1993. Their family and father, Maj John Waddington Oakes have long established links with the British Army. Their sales pitch made claims about their achievements and ability to influence voter similar to those of SCL. But the UK press was unflattering in 2000 when it reported on their work for the Indonesian government. Alexander Nix, a fellow old Etonian, joined the Oakes brothers in 2003 in the earlier incarnation of SCL. Companies House data shows him linked to 10 other firms, all of which appear to be linked in some way. The brothers first officially established and registered with Companies House, the Strategic Communication Laboratories, (SCL) in 2005. Lord Marland: Friend of David Cameron and trade envoy for the Tory government from 2010 and pro-Brexit, he held SCL shares personally and through two related investment vehicles, Herriot Limited and a family trust. Roger Gabb: Introduced the Volvic water brand to the UK then went on to make millions selling wines including the Kumala label, at one time owned more than 25% of SCL. At its formation he was named as a shareholder, as was the Glendower Settlement Trust which is linked to him and his wife. Gabb has donated £707,000 to the Tories, making contributions to the main party and to his local branch. He was also an avid campaigner for Brexit, signing letters on behalf of the campaign as a director of Bibendum Wine, and placing adds in local newspapers. In October 2016 he was fined £1,000 by the Electoral Commission for failing to include his name and address in the adds. Sir Geoffrey Pattie: One time parliamentary under-secretary of state for defence procurement and director of Marconi Defence Systems, had a key role in SCL for its first three years. Vincent Tchenguiz: The property tycoon’s company, the Consensus Business Group, held (for eight years) just under a quarter of the shares in SCL, then valued at around £4m. He has also donated more than £130,000 to the Conservatives. Julian Wheatland: a close associate of Tchenguiz, he was involved with SCL Group from the beginning, and was still a director at the company at 2018. Steve Tatham: Commander Royal Navy (rtd). Former head of psychological operations for British forces in Afghanistan. Note: • The Westminster, cross party investigation revealed that there was verifiable and extremely worrying evidence confirming SCL had completed a number of well remunerated contracts for the Tory government in recent years (psychological operational training for Ministry of Defence staff, etc.) and had been positively vetted by the secret services at the highest possible level and had received “secret” information about Afghanistan. Robert Mercer is a brilliant computer scientist, a pioneer in early artificial intelligence, and the co-owner of one of the most successful hedge funds on the planet (with a gravity-defying 71.8% annual return). And, he is also good friends with Nigel Farage. Mercer, provided financial backing exceeding £12m to SCL, the English registered parent company of the group, which had many years experience influencing operations on behalf of military and political clients worldwide. 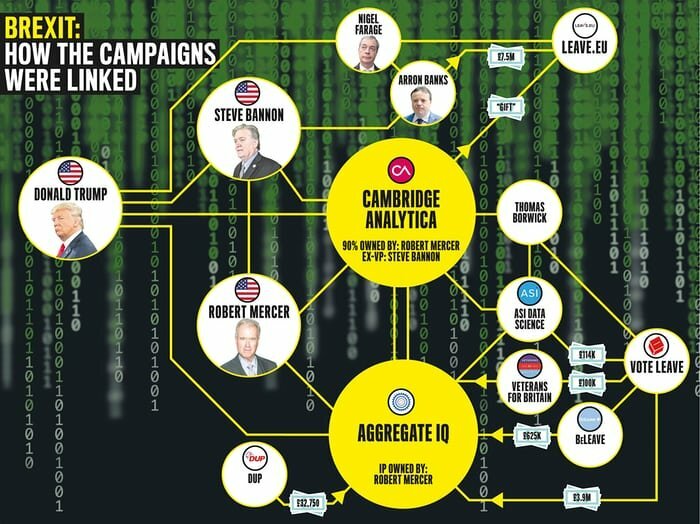 The US part of the SCL group, Cambridge Analytical, controlled by Steve Bannon, conducted its business below the line, secretly gathering huge amounts of psychological profiling data on 230 million US citizens from any source that would supply it, with the purpose of targeting right leaning voters in high profile political campaigns. Assured of the billionaire’s backing, the company plunged £4m into the development of the “Ripon” database through AIQ in Canada. A young American postgraduate named Sophie was passing through London, (in the summer of 2013) when she arranged a meeting with the boss of a firm where she had interned earlier in her career. The company, SCL Elections, was purchased not long after, by the secretive hedge fund billionaire Robert Mercer, who created the US subsidiary company called Cambridge Analytica, which gained notoriety as the data analytics firm that played a major role in the Trump and Brexit campaigns. On that day in June 2013, Sophie met up with SCL’s chief executive, Alexander Nix, and in conversation, advised he should take his company into the data manipulation business suggesting he should meet a with people from “Palantir”, a firm owned by someone she knew through her father. And her father is? Eric Schidt—-Chairman of Google!!!! Gobsmacking!!! Palantir is a data-mining firm contracted to provide services to governments worldwide, including GCHQ. It is owned by Silicon Valley’s first vocal supporter of Trump, Peter Thiel, the millionaire co-founder of eBay and PayPal. Sophie Schmidt moved on to work for another Silicon Valley mega-firm: Uber, confirming the worldwide dominance of Silicon Valley companies, including Google, Facebook and others providing evidence that the USA is at the centre of the global tectonic shift in data manipulation. It also revealed a critical and gaping hole in the political debate in Britain. Because what is happening in the US will be transferred to the UK. Brexit and Trump are entwined. The Trump administration’s links to Russia and the UK are entwined. And the now closed SCL group provided a point of focus through which all of these relationships could be observed. Just as Robert Mercer began his negotiations with SCL boss Alexander Nix about an acquisition, SCL was retained by several government ministers in Trinidad and Tobago. The brief involved developing a micro-targeting programme for the governing party of the time. AIQ, the same company involved in delivering the 2016 Brexit referendum for Vote Leave, was contracted to build the targeting platform. The proposal was to capture citizens’ browsing history en masse, recording phone conversations and applying natural language processing to the recorded voice data to construct a national police database, complete with scores for each citizen on their propensity to commit crime. The information throws light on a significant and under-reported aspect of the Trump administration. The company that helped Trump achieve power has now been awarded contracts in the Pentagon and the US state department. And, it is reported to be in discussions for “military and homeland security work”. In the US, the government is bound by strict laws about what data it can collect on individuals. But, for private companies anything goes. Is it unreasonable to see in this the possible beginnings of an authoritarian surveillance state? A leading QC who spends a lot of time in the investigatory powers tribunal said that the problem with the data-ming technology was that it all depended on whose hands it was in. Adding “On the one hand, it’s being done by companies and governments who say “you can trust us, we are good and democratic and bake cupcakes at the weekend”. But the same expertise can be sold on to a repressive regime. In Britain, citizens still trust the government. There is respect for authorities upholding the laws of the land. There is trust in the rule of law. The UK society is free and fair. And it is the last observation that makes the present situation so profoundly unsettling. 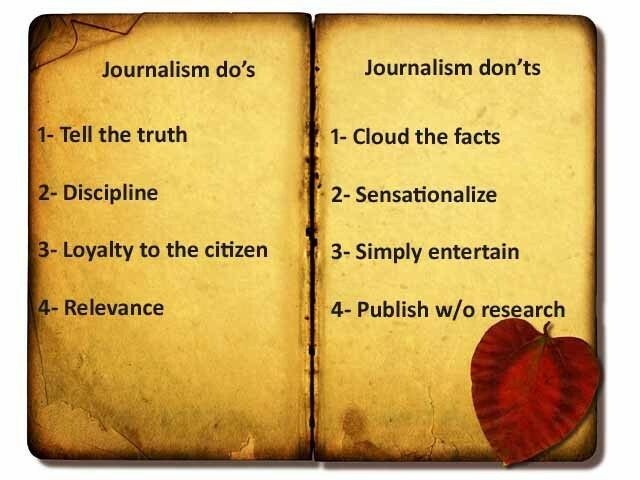 9 Principles of Honest Journalism – by which the media are judged by the public – Is there an honest Journalist in Scotland????? BBC presenter Isobel Fraser is one but she paid the penalty for it. 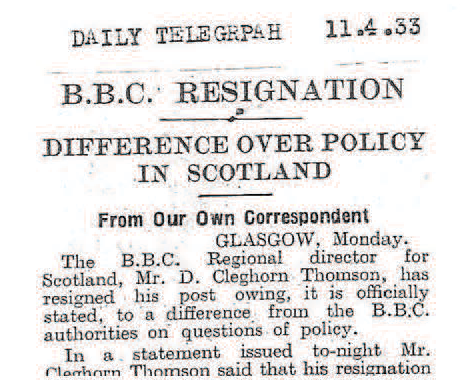 The last honest BBC Scotland Director and we have to go back to 1933 to find him!!!! In the USA, in 1997, a committee of journalists, concerned about failing standards, began a national conversation with the public and news people to identify and clarify the principles underlying journalism. After four years of research, including 20 public forums around the country, the group released a “Statement of Shared Purpose” that identified nine principles. Democracy depends on citizens having reliable, accurate facts put in a meaningful context. Journalism does not pursue truth in an absolute or philosophical sense, but it can and must pursue it in a practical sense. This “journalistic truth” is a process that begins with the professional discipline of assembling and verifying facts. Then journalists try to convey a fair and reliable account of their meaning, valid for now, subject to further investigation. Journalists should be as transparent as possible about sources and methods, so audiences can make their own assessment of the information. Even in a world of expanding voices, accuracy is the foundation upon which everything else is built: context, interpretation, comment, criticism, analysis and debate. The truth, over time, emerges from this forum. As citizens encounter an ever-greater flow of data, they have more need not less for identifiable sources dedicated to verifying that information and putting it in context. 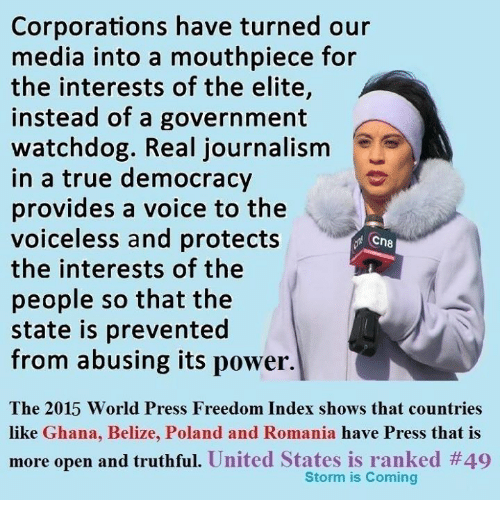 While news organizations answer to many constituencies, including advertisers and shareholders, the journalists in those organizations must maintain allegiance to citizens and the larger public interest above any other if they are to provide the news without fear or favor. This commitment to citizens first is the basis of a news organization’s credibility; the implied covenant that tells the audience the coverage is not slanted for friends or advertisers. Commitment to citizens also means journalism should present a representative picture of all constituent groups in society. Ignoring certain citizens has the effect of disenfranchising them. The theory underlying the modern news industry has been the belief that credibility builds a broad and loyal audience, and that economic success follows in turn. In that regard, the business people in a news organization also must nurture, not exploit their allegiance to the audience ahead of other considerations. Journalists rely on a professional discipline for verifying information. When the concept of objectivity originally evolved, it did not imply that journalists are free of bias. It called, rather, for a consistent method of testing information – a transparent approach to evidence – precisely so that personal and cultural biases would not undermine the accuracy of their work. The method is objective; not the journalist. Seeking out multiple witnesses, disclosing as much as possible about sources, or asking various sides for comment, all signal such standards. This discipline of verification is what separates journalism from other modes of communication, such as propaganda, fiction or entertainment. However, the need for professional method is not always fully recognized or refined. While journalism has developed various techniques for determining facts, for instance, it has done less to develop a system for testing the reliability of journalistic interpretation. Independence is an underlying requirement of journalism, a cornerstone of its reliability. Independence of spirit and mind, rather than neutrality, is the principle journalists must keep in focus. While editors and commentators are not neutral, the source of their credibility is still their accuracy, intellectual fairness and ability to inform, not their devotion to a certain group or outcome. In our independence, however, we must avoid any tendency to stray into arrogance, elitism, isolation or nihilism. Journalism has an unusual capacity to serve as watchdog over those whose power and position most affect citizens. The Founders recognized this to be a rampart against despotism when they ensured an independent press; courts have affirmed it; citizens rely on it. As journalists, we have an obligation to protect this watchdog freedom by not demeaning it in frivolous use or exploiting it for commercial gain. The news media are the common carriers of public discussion, and this responsibility forms a basis for our special privileges. This discussion serves society best when it is informed by facts rather than prejudice and supposition. It also should strive to fairly represent the varied viewpoints and interests in society, and to place them in context rather than highlight only the conflicting fringes of debate. Accuracy and truthfulness require that as framers of the public discussion we not neglect the points of common ground where problem solving occurs. Journalism is storytelling with a purpose. It should do more than gather an audience or catalogue the important. For its own survival, it must balance what readers know they want with what they cannot anticipate but need. In short, it must strive to make the significant interesting and relevant. The effectiveness of a piece of journalism is measured both by how much a work engages its audience and enlightens it. This means journalists must continually ask what information has most value to citizens and in what form. While journalism should reach beyond such topics as government and public safety, a journalism overwhelmed by trivia and false significance ultimately engenders a trivial society. Keeping news in proportion and not leaving important things out are also cornerstones of truthfulness. Journalism is a form of cartography: it creates a map for citizens to navigate society. Inflating events for sensation, neglecting others, stereotyping or being disproportionately negative all make a less reliable map. The map also should include news of all our communities, not just those with attractive demographics. This is best achieved by newsrooms with a diversity of backgrounds and perspectives. The map is only an analogy; proportion and comprehensiveness are subjective, yet their elusiveness does not lessen their significance. Every journalist must have a personal sense of ethics and responsibility–a moral compass. Each of us must be willing, if fairness and accuracy require, to voice differences with our colleagues, whether in the newsroom or the executive suite. News organizations do well to nurture this independence by encouraging individuals to speak their minds. This stimulates the intellectual diversity necessary to understand and accurately cover an increasingly diverse society. It is this diversity of minds and voices, not just numbers, that matters. Further reading: The Elements of Journalism: Tom Rosenstiel and Bill Kovach. 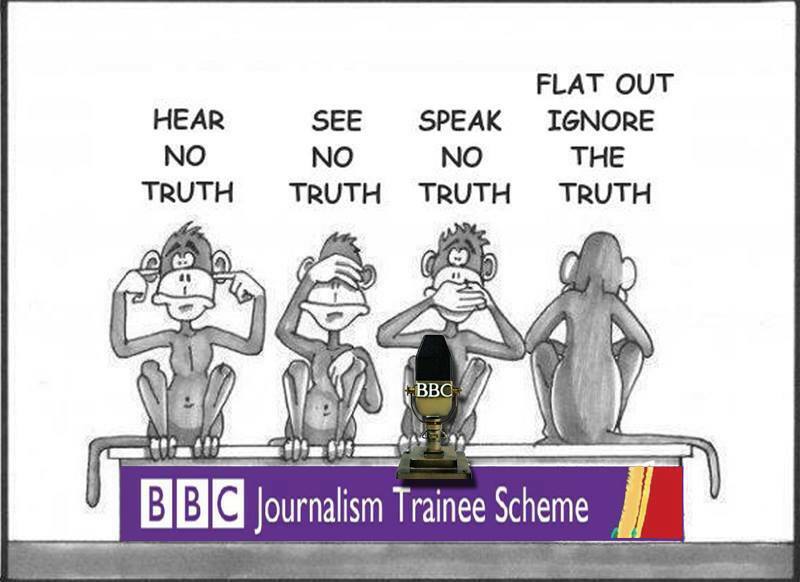 Author caltonjockPosted on August 24, 2018 Categories Uncategorized3 Comments on 9 Principles of Honest Journalism – by which the media are judged by the public – Is there an honest Journalist in Scotland????? BBC presenter Isobel Fraser is one but she paid the penalty for it. It was a classic south Asian scene. Sundown, some drinks, a colonial-era hotel with fans cooling a terrace, waves crashing on the nearby beach, a group of British diplomats, a minister – and a 34-year-old businessman called Adam Werritty. Quite what Werritty was doing at the table was unclear even to the senior Foreign Office diplomats sitting with him. All they knew was that he had some connection to Liam Fox, the defence secretary who had flown out for a weekend to make a speech to a private local foundation. Fox and his party slept at the high commissioner’s 1960s residence, filling its four guest bedrooms. Werritty had made his own arrangements. Yet he was present at the minister’s speech – in honour of a Sri Lankan foreign minister assassinated in 2005 – and at the tea afterwards where he worked a room full of local politicians, diplomats and journalists. Then it was on to the hotel. Werritty had last been in Sri Lanka in December 2010 when he and Fox had got involved in a difficult diplomatic incident. Fox had been forced to cancel his trip as it coincided with the WikiLeaks release of diplomatic cables revealing American diplomats’ concerns over the Sri Lankan government’s human rights record. Werritty was left to explain the situation to local officials. A task for which he was well equipped since he and Fox had met the Sri Lankan, president himself, in a suite in London’s Dorchester hotel only two weeks before. A key interlocutor was the president’s foreign affairs fixer, a controversial former businessman called Sachin de Wass. Sajin was accused of being involved in many controversies ranging from fraud, criminal record, remand time, fraud bureau investigations, unpaid loans, spying, overstepping and unfulfilled promises. This was not the first time Fox had done Sri Lanka – or its government – a favour. His own relationship with the troubled island nation dated back to the mid-1990s, when as a junior foreign officer minister he brokered an agreement between competing parties to co-operate in the search for peace. It did not hold but the “Fox Accord” laid the basis for a long involvement in the island’s tortuous politics. The President, a populist politician retained significant support among the ethnic Sinhala Buddhist majority in Sri Lanka, was set on a radical solution to the long-running civil war that had crippled the nation’s development over previous decades. An expanded army with new equipment, backed by paramilitaries, would fight on to the finish, eradicating the Tamil Tiger separatists in the north. Fox also brokered a multi million-pound media contract between the President and the Bell-Pottinger organization, to offset the expected international outcry. Researchers working for human rights organizations were concerned that the Sri Lankan government might be seeking to enlist Fox’s support to ease restrictions on arms imports from the UK to the island nation and raised their concerns with the Foreign Office in London. Information gathered later confirmed that the greatly feared defence secretary (brother of the President), had asked Fox to lobby for more access to British weapons. The defence secretary was credited for the successes achieved by the Sri Lankan Military in defeating the Tamil Tigers, ending Sri Lanka’s 26-year-long civil war, but allegations of war crimes were soon referred to the World Court for investigation. In March 2009, as the fighting intensified in the north of the island, Fox made a further visit to Colombo, meeting both government and opposition figures. It is unclear if Werritty accompanied him but local journalists recall seeing him in Sri Lanka with Fox during almost all visits from spring 2009 onward. Fox’s visits in March and August 2009 were seen by some observers as an endorsement of the hard-line government which had refused a full inquiry into the claims that tens of thousands of Tamil civilians killed at the end of the civil war or pressure to move towards any broader postwar political settlement with the Tamil population. It was also in March 2009 that Fox established the Sri Lanka Development Trust in the UK. Records show it did little other than to contribute to the expenses for three of Fox’s trips. The Foreign Office said the MoD was the “lead organization” for the project, despite it having no defence interests, and the Department for International Development said it had no record of funding the organization. Senior aid agency officials in Colombo said they were unaware of the trust, but did not rule out its existence. Documents revealed that twice in 2013, Paisley took his wife and four children to the country, flying business class. They then stayed in the finest hotels and were provided with a chauffeur-driven Mercedes, all paid for by the Sri Lankan government. It was further revealed that, in the course of discussions with government officials he offered to assist the state broker an oil deal, saying he had: “significant arrangements with national oil suppliers” in Oman and Nigeria. But the real objective of the ploy was to lure the British Prime Minister, David Cameron, and the Conservative Government to subvert the UK’s Sri Lanka policy and to canvas support especially regarding Sri Lanka related UN human records resolutions and the nations post-war “image” in the West. Paisley said his visits had been to enable him “to gain a wider knowledge of the political and social situation on the ground in Sri Lanka” although he had no doubt had some free time. His family had accompanied him but had not attended his official meetings. But his assertion was rendered dubious when it was revealed that he had written to the Prime Minister urging him not to support the UN motion which “internationalized” the dispute within Sri Lanka. That letter amounted to paid advocacy, putting Paisley in breach of paragraph 11 of the 2012 Code of Conduct for Members. His efforts continued when, in September 2017, Paisley published a photograph on his social media, posing with the then Sri Lankan High Commissioner in London. And, only two days after that meeting, Paisley posted yet another photo with yet another ‘friend’ of Sri Lanka in the Conservative Party, Dr Liam Fox, the International Trade Secretary. The primary reason why the trips caused controversy is that that they breached the parliamentary rule applying to all MPs, that they have to register family holidays, unless they are: “wholly unconnected with membership of the House or with the Member’s parliamentary or political activities”. The Register of Members’ Financial Interests is an important mechanism for accountability. It enables MPs to declare income, gifts or affiliations that could be construed as a potential conflict of interest with their parliamentary roles. According to the report, expenses that go beyond the registration threshold should be declared, and the entries in the register should be highly detailed, covering the costs of travel, hotels, meals, hospitality and care hire. Politics of shady networking, luring foreign policymakers with lavish gifts, holidays and perks is a strategy all too frequently used by Sri Lankan authorities as a “networking method”. As detailed above, Paisley has his place in a list of British MPs who benefitted from generous treatment by the Government of Sri Lanka. Britain’s Secretary of State for International Trade Liam Fox, who has a controversial relationship with Sri Lanka, met with the Sri Lankan President in London yesterday, where they discussed trade and investment opportunities between the two governments. They had discussions regarding strengthening relations paving the way to the expansion of trade and investment. Fox was forced to resign from his previous post as defence secretary in 2011, after a report into his conduct concluded that he “breached the ministerial code” and displayed a “failure of judgment”, as he had accepted at least three fully paid return trips to Sri Lanka, with accommodation and full board, funded by its government. The British Israel Communications and Research Centre, (BICOM), is an influential pro-Israel lobby operating in the corridors of power at Westminster and is a common thread running through the political and financial network of political friendships enjoyed by Liam Fox. 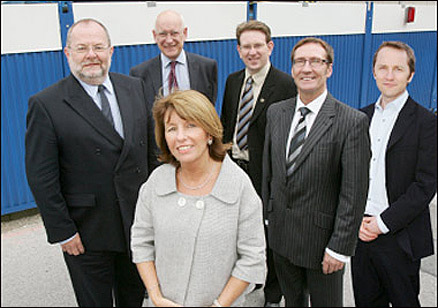 Jon Moulton: Three months before the 2010 general election, venture capitalist and multi-millionaire Jon Moulton reportedly paid £60m for Gardner UK, which makes components for aircraft including RAF fighter jets and troop transporters. In a statement, after publication of the report Moulton said: “Before the election, I made several, on-the-record donations to support Dr Fox following a request from the Conservative party fundraiser. After the election I was asked by Dr Fox to provide funds to a non-profit group called Pargav, reportedly involved in security policy analysis and research and after obtaining written assurances as to its activities. I provided £35k to Pargav. Neither I, nor any of my associates, sought or received any benefit of any form from Pargav. Tamares Real Estate: An investment company, based in Liechtenstein owned by Poju Zabludowicz, one of Britain’s richest men, who owns approximately 40 per cent of the property in downtown Las Vegas, including numerous casinos, plus property in Washington DC and New York’s Times Square. He bankrolled David Cameron’s campaign to become Tory leader and donated £132k to the Tory Party in 2010 . His father built up the Israeli arms company “Soltam” in the 1950s, working closely with Shimon Peres, who was then the Director General of the Israeli defence ministry. A spokesman for Zabludowicz said he owned a “legacy” arms business in the US, but added that it was not a significant part of his empire. Most of his assets were now in property. He maintains strong links to the Britain Israel Communications and Research Centre (BICOM) an organization that lobbies extensively at Westminster on behalf of Israel. Michael Lewis: Vice-Chairman of (BICOM) until 2007 and boss of Oceana Investments. A Tory Party donor, he also gave £14k to “Atlantic Bridge”, the charity set up by Fox and run by Werritty from Fox’s parliamentary office. He also donated £5k to Fox’s leadership campaign in 2005. Lee Petar: Former communications chief of (BICOM), co-founded Tetra Strategy, and recently won the account to advise the emirate — one of the United Arab Emirates — on strategic communications and reputation management. The deal, reportedly worth around £500k, is one of the biggest PR deals of the year. Petar said: “It’s a real communications challenge and a real opportunity for me”. Email’s provided evidence that Petar had been working to arrange a meeting between Boulter, a private equity boss based in Dubai, and Fox or Werritty for some time. G3, (Good Governance Group): A multi-million pound, private intelligence company, donated £15k to Pargav. The company is a major game-player in the intelligence industry employing 32 analysts in the UK and many others worldwide, providing advice on risky overseas investments, investigative services, competitor analysis and cyber security. It also provides services to a number of defence contractors including BAE Systems. It is styled as an “independent strategic advisory firm” offering “insight, analysis and advice to help leaders make informed decisions and realizing value in complex situations, placing the “highest priority on integrity, discretion and trust”. Operating out of an undistinguished building in Mayfair (it is chaired by Chester Crocker, the US Assistant Secretary of State for African affairs under President Ronald Reagan) since at least 2005. The company has another office on Madison Avenue, in New York, and a network spread around the world, reportedly worth around £20 million. Fox first approached the South African, Andre Pienaar, multi-millionaire, chief executive (and one time managing director of the secretive private intelligence company Kroll) in 2008 seeking funding for a Sri Lankan based charity. Dr Fox had a long-standing interest in the country, dating back to the mid-1990s when he was a junior foreign office minister. They agreed that G3 would pay to set up the Sri Lanka Development Trust through a Scottish law firm (enter Helen Liddel) to help with reconciliation and reconstruction of a country torn apart by years of civil war. The charity, however, was never registered with the Charity Commission nor with Companies House and no details of its accounts appear in any public records. 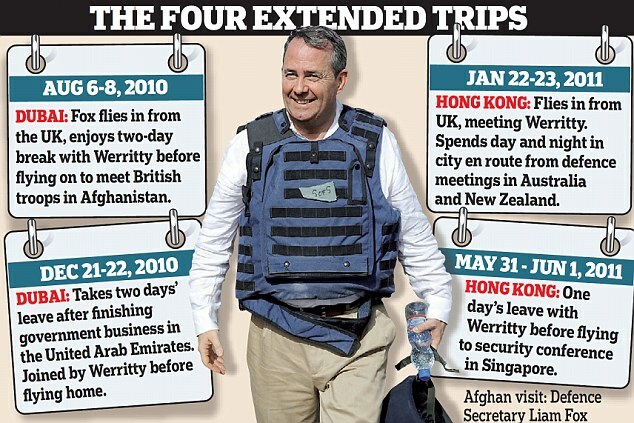 Fox travelled to Sri Lanka three times on flights paid for by the trust in 2009 and 2010 while he was in opposition. The flights were declared in Dr Fox’s register of MPs’ interests. The trust’s address is given as the business address of G3, although the company says it never carried out any work for the charity on its premises. Between 2008 and 2011, G3 says it made payments to the Sri Lanka Development Trust totalling “no more than £45k”. A further payment of £15k was paid to Pargav. A spokesman for G3 said last week: “In 2008, we were asked by Dr Liam Fox, then the shadow defence secretary, to give advice about the reconstruction of northern Sri Lanka after the sudden end of the civil war. He explained that he wanted to play a constructive role in the peaceful reconstruction of the country. Our advice, which was provided on a pro-bono basis, related to how a charity of this nature might be structured. “The Sri Lanka Development Trust was subsequently established but we have never had any involvement in its work. G3 admits holding meetings with Dr Fox, both in government and in opposition. A spokesman said: “Mr Pienaar was keen to help Dr Fox while he was in opposition. G3 had defence clients but wanted to get more”. The deal with Fox was kept quiet even within the company”. Published accounts show that the firm enjoyed huge commercial success since it was established in the UK. After recording a loss of £33k in 2009, it doubled its turnover from £6m to £12m and raised its profits from £1.3m to £2.4m. G3 is closely linked to C5 Capital, which describes itself as “an independent investment company, focusing on the global security sector”. One of C5’s employees is Lt General Sir Graeme Lamb, the former director of UK Special Forces. The company website revealed: “We are closely associated with the Good Governance Group, which includes G3, a leading strategic advisory consultancy. Through G3, we have unparalleled access to in-depth sector knowledge and to an extensive network of specialist advisers”. G3 and C5 work so closely together that they are based in the same London premises, 40 George Street in Marylebone. And the two companies also share a director, Andries Pienaar. The Sri Lanka Development Trust: Another corporate intelligence company with close links to Sri Lanka. Coincidentally based in the same building as G3. The trust was set up by Fox, using private finance to rebuild the country’s infrastructure. It reportedly relocated to Edinburgh. Pargav: Records at Companies House reveal that Werritty was not the director of Pargav, despite being its only prominent employee. Oliver Hylton, charity adviser to a hedge fund, said that he had signed up as its director after being asked by Werritty. Hylton added that he had met Werritty through Tory donors. Perhaps the most damaging disclosures in the report showed that many of the financial transactions of Pargav corresponded with the 18 destinations that Werritty and Fox visited together between 2010 and 2011. Liam Fox, Dr. Adam Werritty. Fox and his long-term travel companion, Werritty, went on a “stag do” while on a taxpayer-funded trip to Dubai. The late-night drinking session in some of Dubai’s most exclusive hotel bars was for Luke Coffey, one of the Defence Secretary’s special advisers. Coffey, currently a Margaret Thatcher Fellow at “The Heritage Foundation”, (an American Conservative party think-tank) is an American political adviser, and US Army veteran who did work for Fox. The six-strong party reportedly started the evening at the opulent 41 storey, Shangri-la hotel where Fox was staying at a £500-a-night cost to the taxpayer. They first went to the top-floor bar of the 63-storey Address, which is shaped like an ocean liner, before moving on to other bars where they downed giant “treasure chest” cocktails. Celebrations apparently lasted until 3am. A source who witnessed the session said: “It was quite a boozy affair; they were drinking huge cocktails and they caused quite a stir”. The friends spent the rest of the next day lounging by the pool. Fox spent three nights at the exclusive Dubai hotel on his way back from visiting troops in Afghanistan and it is open to question whether he extended his stopover in Dubai to give Coffey a special send-off into married life. Protocol dictates that official trips back from Afghanistan or Iraq stop off in Qatar or Bahrain and questions have previously raised about Fox’s regular trips to Dubai who has been to Dubai five times since the 2010 election, meeting Werritty on each occasion. The minister once took a “weekend leave break” in the emirate in August 2010. However, on the visit in June, Fox did not take leave and was being funded by the taxpayer. The Ministry of Defence declined to comment as to why Fox’s trip lasted three days when both engagements could have easily been done in one day. Dan Jarvis, Labour MP for Barnsley Central and a former parachute regiment officer in Iraq and Afghanistan, said: “Our forces will be shocked that, while they are on the front-line risking life and limb, the secretary of state for defence is on a stag do on taxpayers’ expense. Labour questioned why taxpayers were paying more than £170k a year for Fox’s three official advisers when he preferred to rely on the advice of Werritty. Two of Fox’s highly trained official special advisers – the American, Coffey and Oliver Waghorn – are paid £61k a year, while Hayden Allan collected at least £52k, giving a total wage bill of at least £174k a year. The bill for Fox’s advisers is the fourth-highest of any minister in parliament, behind only the prime minister, the deputy prime minister and the chancellor. Fox spent more on advisers than William Hague, the foreign secretary, and the leader of the Lords, Lord Strathclyde. Fox faced fresh accusations of running a shadow foreign policy, with his controversial friend Werritty as its key contact after it emerged he was involved in setting up a private investment firm to operate in Sri Lanka in apparent contravention of UK government policy. Fox was involved in negotiations with the Sri Lankan regime as recently as the summer of 2010, agreeing a deal that allowed the Sri Lankan Development Trust to operate in the UK. The Trust was a venture designed to rebuild the country’s infrastructure using private finance with a sideline in charitable projects for Tamil communities. Lord Timothy Bell, whose PR firm Bell Pottinger was employed by the Sri Lankan government until last year to improve the country’s reputation abroad, said the deal had been struck between Fox and the head of the Sri Lankan bank: “In order for these funds to operate they would need an agreement with the country. The financial interests of Sri Lanka come under the governor of the Central Bank. My understanding is that the infrastructure development fund would be set up and have an agreement with the Sri Lankan government to invest in Tamil communities in Sri Lanka. It’s a fine idea with a good sense of purpose”, adding “part of the strategy was to improve the regime’s reputation abroad”. Bell was awarded his peerage by Thatcher, being instrumental in the Conservative general election campaign victories of Margaret Thatcher. For her first 1979 victory, he created the “Labour Isn’t Working” campaign and advised her on interview techniques, clothing, and even hairstyle choices. He also courted newspaper editors and worked on devastating attacks on the Labour Party. But prior to the approach by Fox, the previous Labour government had adopted an arm’s-length policy on Sri Lanka, calling for an independent inquiry into alleged war crimes. Since 2006 it had a policy limiting development work to urgent humanitarian assistance and “de-mining” areas affected by the civil war. The policy had been retained by the incoming Tory government. Kevan Jones, shadow defence minister, said: “If Fox was still striking deals with the Sri Lankans in the summer of 2010, how does that fit with official UK foreign policy? A Fox spokesman said that Fox had ceased to have any involvement with the Sri Lankan Trust when he entered government. But the only activity the Trust appears to have been engaged in was the payment of up to £7.5k of Fox’s travel expenses. In June 2010, Fox met the Sri Lankan foreign minister in Singapore. He said: “the purpose of the meeting was to make it clear that although I would no longer be able to participate in the project, the others involved would continue to do so”. It was then revealed that a further meeting had been conducted at which which Fox agreed with the governor of the Central Bank of Sri Lanka that the trust would invest in road-building and other infrastructure projects using private investment. 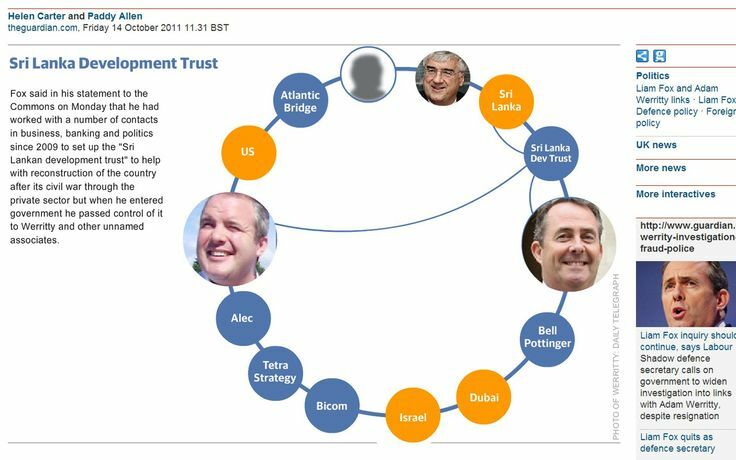 Michael Hintze, the Australian-born, multi-millionaire hedge fund baron and former banker with the disgraced banking conglomerate Goldman Sachs, was a key backer of Liam Fox. 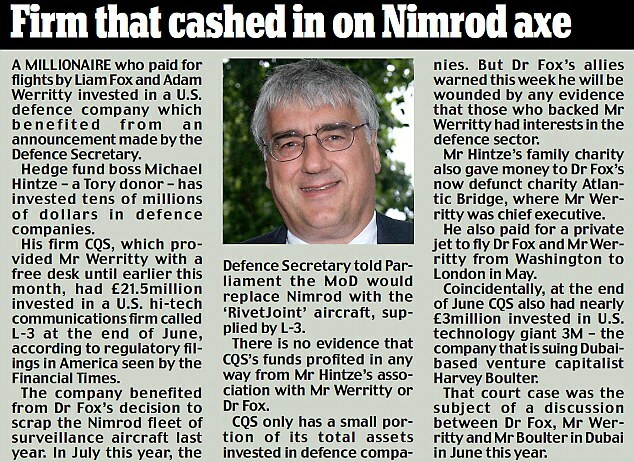 Hintze, who donated more than half the budget to the fake Atlantic Bridge charity, set up by Fox, is one of the richest men in the UK with an estimated fortune of £550 million and is the chief executive of a muti-million pound hedge fund. He is close to a number of senior Tory’s and has donated more than £1.5m to the party. It is now confirmed that the banker also hosted Philip Hammond, the new Defence Secretary, appointed by David Cameron as a “safe pair of hands” at a series of lavish fundraising dinners for the Conservative Party. Details were written up by Hammond, in the MPs’ register of interests recording Hintze as a financial donor – including one for “£1,700 hospitality at Carlton Political Club Dinner” – before and after Hammond became a Cabinet minister.